Amid the current turmoil in the Middle East, Understanding Tahrir Square sounds a rare optimistic note. Surveying countries in other parts of the world during their transitions to democracy, author Stephen Grand argues that the long-term prospects in many parts of the Arab world are actually quite positive. If the current polarization and political violence in the region can be overcome, democracy will eventually take root. The key to this change will likely be ordinary citizens—foremost among them the young protestors of the Arab Spring who have filled the region's public spaces—most famously, Egypt's Tahrir Square. The book puts the Arab Spring in comparative perspective. It reveals how globalization and other changes are upending the expectations of citizens everywhere about the relationship between citizen and state. Separate chapters examine the experiences of countries in the former Eastern bloc, in the Muslim-majority states of Asia, in Latin America, and in Sub-Saharan Africa during the recent Third Wave of democratization. What these cases show is that, at the end of the day, democracy requires democrats. 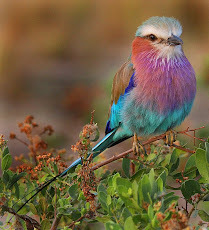 Many complex factors go into making a democracy successful, such as the caliber of its political leaders, the quality of its constitution, and the design of its political institutions. But unless there is clear public demand for new institutions to function as intended, political leaders are unlikely to abide by the limits those institutions impose. If American policymakers want to support the brave activists struggling to bring democracy to the Arab world, helping them cultivate an effective political constituency for democracy —in essence, growing the Tahrir Square base —should be the lodestar of U.S. assistance. "Judicious and far-ranging examination of how the experience of democratization from Central and Eastern Europe to Latin America, Asia, and Africa can help inform our understanding of the challenges and opportunities facing contemporary movements in the Middle East. A timely and practical guide for democracy activists as well as policymakers who want to support their aspirations." "With rigor and clarity Grand assembles an enormous amount of insight and information about democratic transitions from around the world and highlights important possible applications of this comparative experience to the daunting challenges that democracy faces in the Arab world." 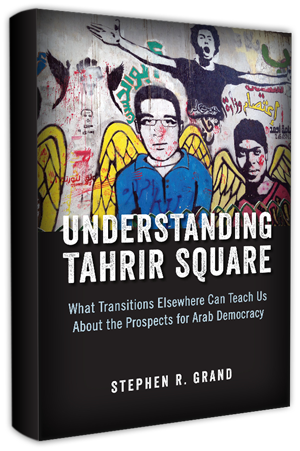 "Understanding Tahrir Square is not just a name of a book. It is a long-forgotten fantasy, a desperate wish, and a dilemma more complicated than a daytime soap opera. So, if you really have a weird urge to still try to understand Tahrir Square, get an 8-ball, or better, try your luck with this book."